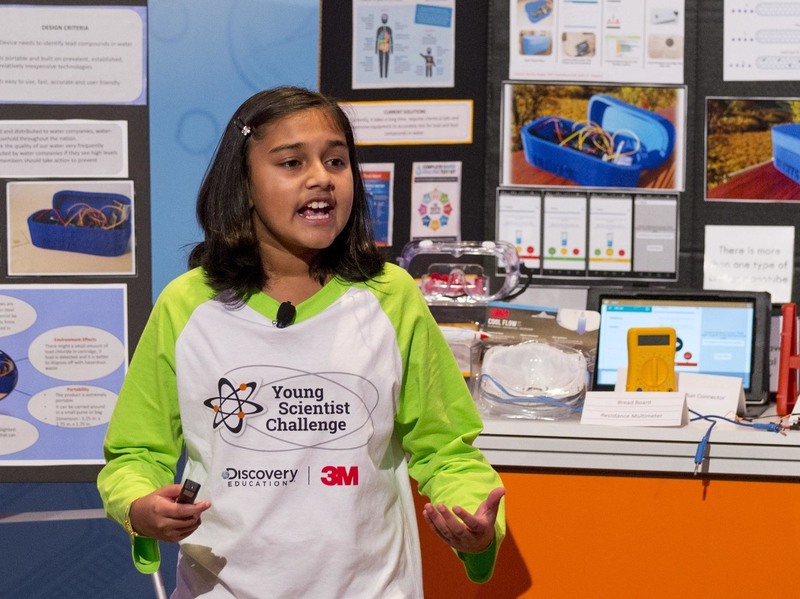 Troubled By Flint Water Crisis, 11-Year-Old Girl Invents Lead-Detecting Device : The Two-Way The Colorado seventh-grader was unimpressed by the options her parents had to test water in their home. So she created a sensor-based device using chemically treated carbon nanotubes to do it faster. "I went, 'Well, this is not a reliable process and I've got to do something to change this,' " Rao told Business Insider. She pressed local high schools and universities to give her lab time and then hunkered down in the "science room" — outfitted with a big white table — that she persuaded her engineer parents to create in their home. If You See Dirty Water, Don't Just Gripe. Talk To The Cloud! "Clean water always makes you feel good," she says at the end of her video. "The tool allows easy testing at home or by agencies for quick detection and remedial actions. It can be expanded in the future to test for other chemical contaminants in potable water. I hope this helps in a small way to detect and prevent long-term health effects of lead contamination for many of us." 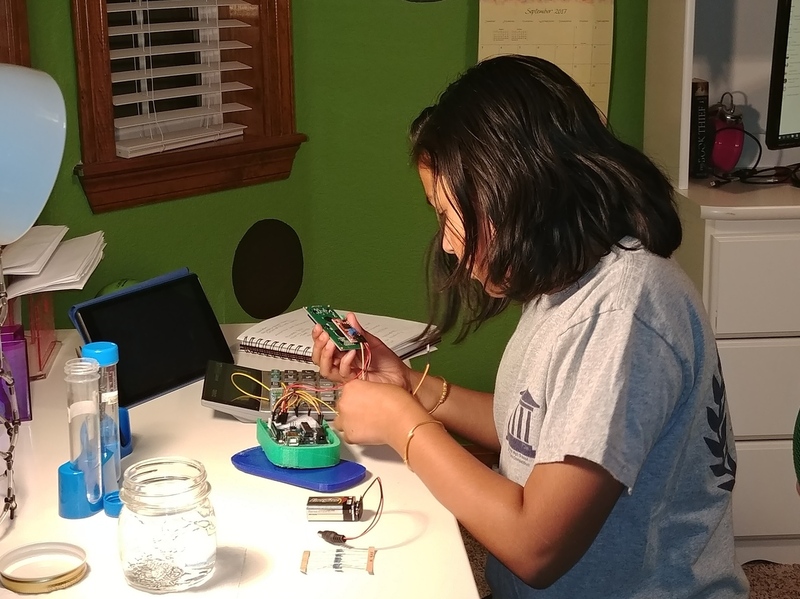 To make her device, Rao pressed local high schools and universities to give her lab time and then hunkered down in the "science room" — outfitted with a big white table — that she persuaded her engineer parents to create in their home in Lone Tree, Colo. Her solution was so ingenious that this week, Rao was named "America's Top Young Scientist" in the Discovery Education 3M Young Scientist Challenge — a distinction that comes with a check for $25,000. In an earlier version of this post, Gitanjali Rao is quoted as saying "clean water always tastes good." In fact, she said "clean water always makes you feel good."